Self-Employed and Hurt on the Job – Do You Qualify for Workers’ Compensation? Close to 15 million workers identify themselves as self-employed, according to the U.S. Bureau of Labor Statistics. That translates to approximately 10 percent of the overall workforce. So what happens if a self-employed individual gets hurt on the job? Can they obtain benefits through Florida’s workers’ compensation program? The answer – it depends. This question is essentially irrelevant if you are an employee of a traditional company. If you receive a W-2 tax form at the end of the year, then the availability of workers’ compensation benefits is fairly straightforward. 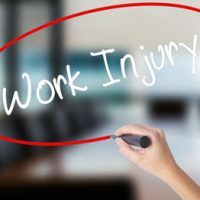 This is because, under Florida law, an employer is required to have a workers’ compensation insurance policy to cover employees when they suffer injuries at the workplace, including compensation for lost income and medical expenses. Though, the legal requirement to purchase workers’ compensation in Florida depends on the total number of employees working for the company. For example, the owner of a construction company who has at least one employee is legally obligated to have workers’ compensation insurance. However, if you work in a non-construction industry, the threshold is at least four employees for the workers’ compensation mandate to kick in. If you are self-employed and have no other employees working for you, there is no legal obligation to have workers’ compensation insurance. Nevertheless, it may make sense to purchase a policy on the private market. Even if you have a health insurance policy, an injury can keep you from working, which is where workers’ compensation benefits can assist in covering some of your expenses. If you are a work-from-home graphic designer, you may not need workers’ compensation insurance. However, if you are a roofer, painter, or freelance contractor, it makes a lot of sense to carry a workers’ compensation insurance policy given the amount of danger and risk to your health associated with your job. Also, if you are an independent contractor who utilizes subcontractors, you should look into purchasing workers’ compensation insurance since, under Florida law, a general contractor can be held liable for injuries incurred by any subcontractors they hire. It can be difficult for a solo employee, or an independent contractor, to purchase workers’ compensation insurance on the private market since most policies are geared towards large companies with multiple employees. Nevertheless, in Florida, you can still purchase a policy as a solo employee from places such as the Florida Workers’ Compensation Joint Underwriting Association. You should also speak to an experienced West Palm Beach workers’ compensation attorney to counsel you on your options and whether having workers’ compensation insurance makes sense. If you reside in or around West Palm Beach, contact the experienced workers’ compensation attorneys at Ganon & Hessen, P.A. Our law firm possess years of experience helping workers seriously injured on the job or who developed an occupational disease as a result of workplace exposure to toxic chemicals and fumes. Our legal team will help recover the compensation that you are entitled to receive under Florida law.